What are email marketing KPIs? Email marketing KPIs, or key performance indicators, are metrics used by marketing teams to track the effectiveness of an email campaign. Email marketing is one of the most popular marketing channels, primarily used for its ability to drive high levels of traffic and conversion. 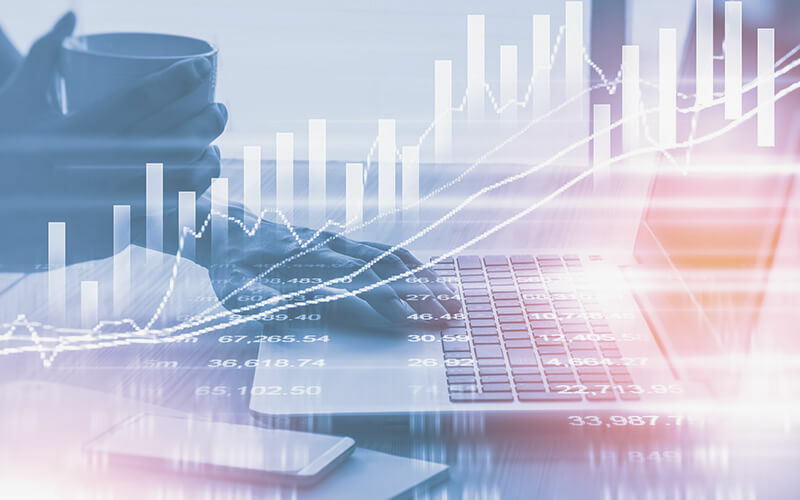 Using the right KPIs—and analyzing them appropriately—is your best bet for crafting effective, high-quality email marketing campaigns and proving their ROI. How do I choose the right email marketing KPIs? Before you begin to select your email KPIs, you should take the time to thoughtfully consider the goals of your email campaign strategy. The email metrics you decide to use will be entirely depending on these goals, so outline them in as much detail as possible. Do you want to drive traffic to your site? Increase your social media following? Increase sales of a specific product? These are all questions you’ll want to consider before even considering your metrics.Once you’ve developed a set of goals, you can begin to piece together what KPIs will help you to best achieve them. For example, if you’re simply trying to drive traffic to your site, pay attention to your open and click-through rates. Or, if you’re trying to build brand awareness and loyalty, it’s important to focus on your list growth and unsubscribe rate. 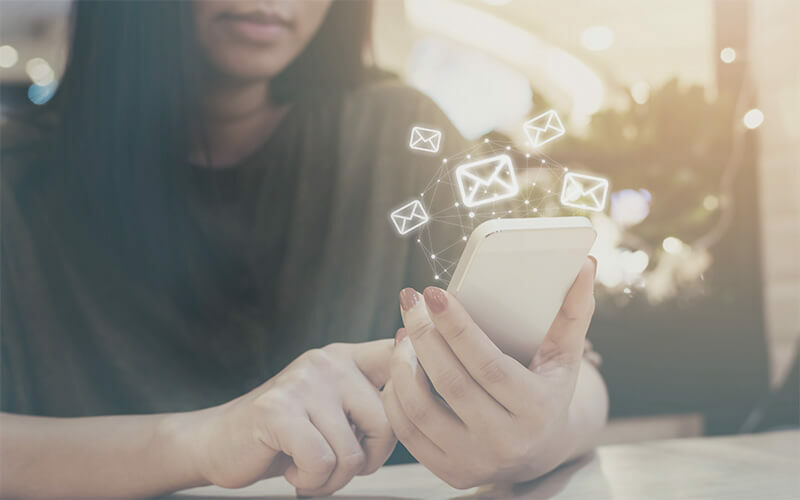 As mentioned above, email marketing may be one of your most effective marketing tools, and marketing email KPIs can help you with crafting exceptional digital content—not only within your email campaigns, but throughout your other channels, too. For instance, your click-to-open rate can be a good indicator of how to best appeal to your audience. If your subject lines are engaging and relevant, your recipients are far more likely to open your email, giving you a clue as to what kind of content they’re after, and giving you the information you need to fine-tune your content strategy. Similarly, your click-through and conversion rates will help you understand what kind of content drives your recipients to take action. On the flip side, your unsubscribe rate may give you a good idea of what not to do. If your unsubscribe rates are high on an email that has a good click-to-open rate, you should probably work on stronger content and less spammy calls to action. You can also evaluate whether or not your subjects and headings are relevant to the rest of the content, or if they can be perceived as misleading. When your metrics are used appropriately and analyzed properly, email KPIs can be a great way to develop leads, or even nudge prospects into becoming customers. Obviously, the number one metric you should focus on when highlighting the effectiveness of email campaigns on the sales pipeline is the total conversions to revenue. If a recipient becomes a lead as a result of reading your email, you can definitely count it as a win. You should also look at the broader email conversion rate. This conversion doesn’t necessarily have to do with revenue, as the goal action you’re measuring could be something besides making a purchase, such as: following your brand on social media, signing up for a free webinar, or even viewing a video. These kinds of actions can increase brand awareness and provide new leads that can be extremely beneficial to your sales team. 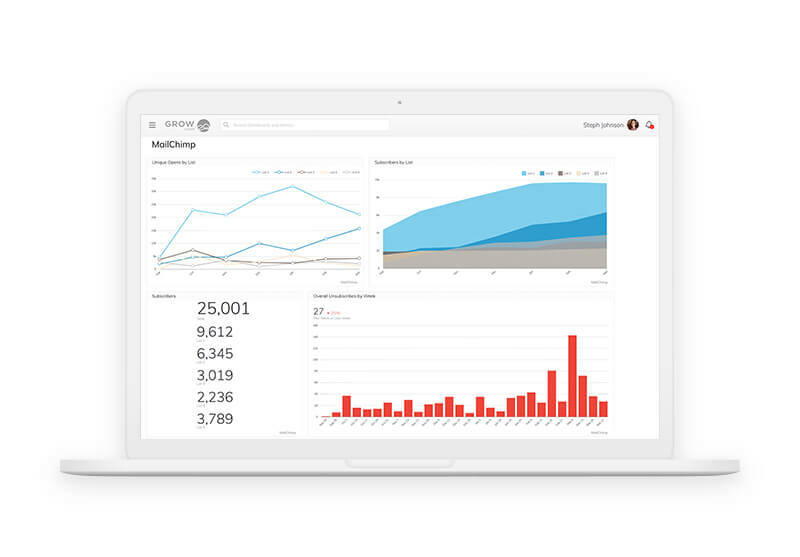 Another KPI you could take into consideration is your list growth. Simply put, the more recipients you have, the higher your number of potential customers. You can use unsubscribe and bounce rates to make sure your message is being seen and your prospect list keeps expanding. If you’re serious about building your business, you realize that customer retention is key to your efforts. That’s because current customers are far more likely to foster brand loyalty that leads to higher purchases and referrals. And, after all, your conversion rates won’t mean very much if your retention numbers are constantly nosediving. So, how you can you use marketing email KPIs to enhance your customer retention strategy? The answer can come from your data. You can use KPIs like click-through and conversion rates to gain a deeper understanding of your audience’s needs and target your campaigns accordingly. You may want to segment your data so you can get a clearer picture about the email habits of your current customers vs. prospects. Keep in mind that one of the reasons email campaigns work for customer retention is because they continually remind your recipients of you. Unfortunately, this doesn’t work if your recipients aren’t actually receiving your emails. You’ve heard of the saying, “out of sight, out of mind,” right? Be sure to keep your spam score and inbox deliverability in check so you can avoid this pitfall. If your customer retention numbers are dwindling at the same time your spam score is surging, it may be more than correlation. You can use these examples in your journey to create strong, data-driven email campaign strategies that incite action and help you to achieve your goals. The open rate tells you how many recipients open your email. A normal open rate is typically between 15-30%. Anything less than that should encourage you to take a hard look at your subject line copy. Keep in mind that opens are only recorded if the recipient’s email client is capable of displaying HTML with images (and that option is turned on) so this number may be slightly under-reported. This email marketing metric allows you to see how many people are actually opening your email by measuring how many have clicked on a link, CTA or image within it. According to MailChimp, the average open rate in marketing and advertising industries is 17.85%. A high click-through rate is a great indicator that your message and/or design resonates with your audience, while a lower number could reflect less-than-engaging copy or weak CTAs. It can also be an indicator that your content is helping to assist with lead generation, as more clicks generally lead to a higher conversion rate. The bounce rate shows how many emails were not delivered to an email address because it was returned by the mail server. A good bounce rate is typically one that is less than 2%, so if you’re over that it may be time to evaluate your list-creation strategy and focus on using permission-based, opt-in data. If you’d like a more accurate benchmark, Google Analytics can provide you with the average bounce rate for your specific industry. You should also pay attention to whether your bounces are hard or soft, and remove hard-bounce email addresses promptly to increase your chances of your emails avoiding spam filters. 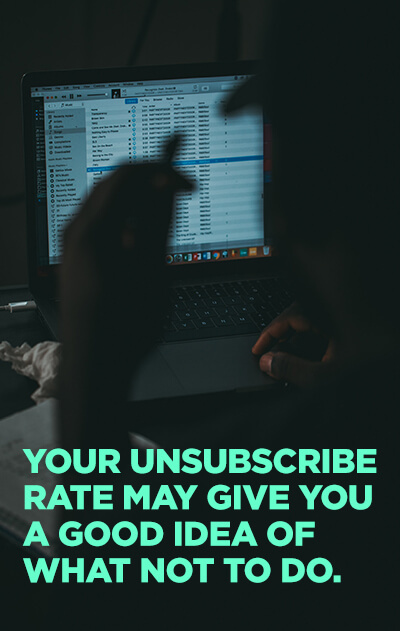 The unsubscribe rate measures how many people opt out from an email list. On average, you should expect an unsubscribe rate of 1% or lower. Segmenting your data can help you create more targeted lists for maximum exposure. Another easy way to combat a high unsubscribe rate is by using a combination of double and single option to confirm the quality of your recipients before adding them to your list. A spam score measures how likely your email is to be caught in spam filters. It’s simple: The higher the positive score is for your email, the higher the probability that the message is spam--and the less likely your customers are to receive it. Your spam check platform should provide you with any red flags you need to correct to improve your score. If your spam score peaks and you’re not sure why, try comparing it to your unsubscribe rate for that campaign. Studies show that a large percentage of email users are just as likely to report an email as spam as to search through an email for an unsubscribe button, so may you may want to make yours easy to find. Email conversion rate measures the percentage of subscribers who complete a goal action. Essentially, it can help you figure out how many emails were sent in comparison to how many did what you wanted them to do. Some examples of goal actions are downloading content, signing up for a demo, purchasing a product(s), registering for a webinar or event, etc. It’s a great indicator of how many leads or marketing inquiries your email campaign creates. Across industries, the average landing page conversion rate was 2.35%, so use that as a benchmark when using data to finetune your email marketing strategy. The click-to-open rate compares the number of unique clicks and unique opens. This is a great way to measure if your subject line accurately depicts your content. If your click-to-open rate is lower than you’d like, it could be because you’re baiting recipients with a subject line that has nothing to do with the content within the email. Try using stronger, more relevant subject lines that have mass appeal to your targeted audience. According to Experian, the average click-to-open rate is about 25%, so you can use that number as a benchmark to compare your own data. Anything lower may necessitate some changes to your subject line content. Your delivery rate may be 100% but that doesn’t really matter if the majority of your emails are caught in spam filters. Inbox deliverability measures your success in actually delivering your email to the inboxes of your intended recipients. Remember: your goal should be a 100% inbox deliverability rate. If it goes below this, you should closely examine your spam score and bounce rates to determine where the issue is and how to correct it. List growth rate is the measurement of the growth of your email recipient list. This can be impacted by unsubscribers, outdated content or product changes. If your list size is diminishing by more than 2% per email, or remaining stagnant from quarter to quarter, you should take that as a sign to revamp your email content. Your total conversions to revenue tells you how often a recipient is making a purchase via an in-email link. An ideal conversion rate is one that’s steadily improving. Keep in mind that your conversion rate will fluctuate depending on the email content and your campaign goals. 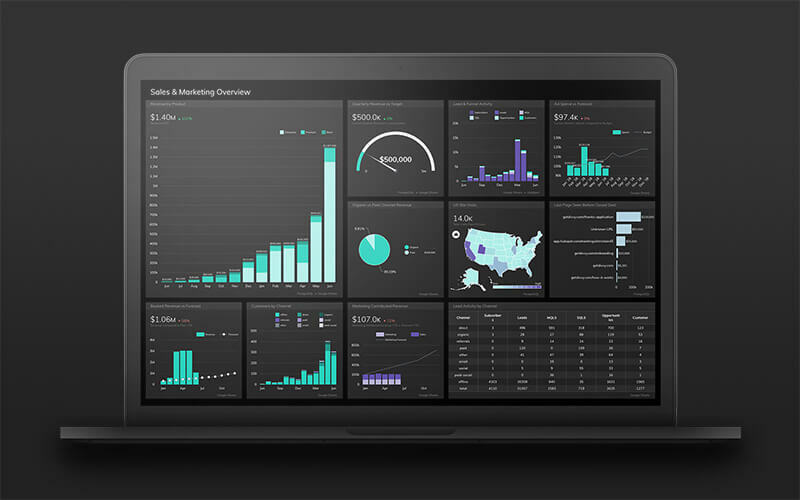 And, of course, you can always segment your data to gain better insights on where your revenue is coming from and how you can improve your efforts.